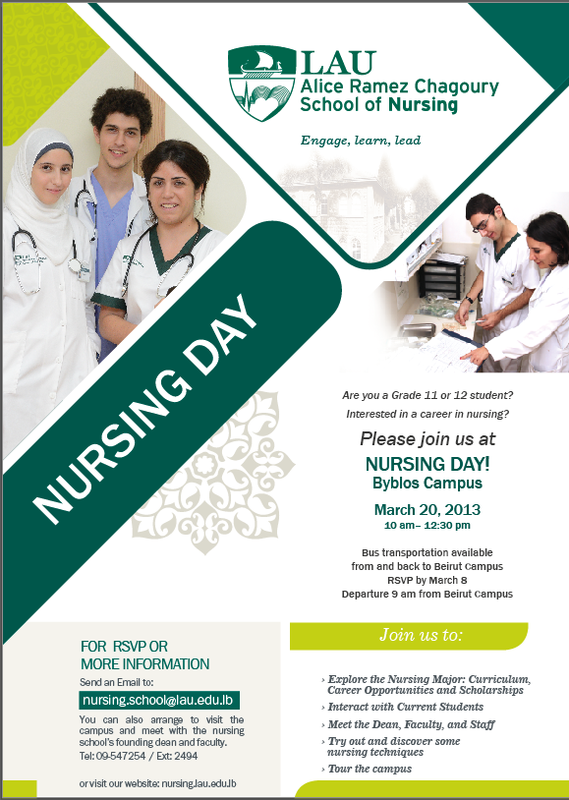 The School of Nursing is organizing a “Nursing Day” for high school students and current LAU freshman students. Bus transportation is available from and back to Beirut campus RSVP by Monday 18. Departure 9 a.m. from Beirut campus. Contact: For more information, send an email to: nursing.school@lau.edu.lb.